Samuel and Jacob Kart Racing: Both Gone Faster! 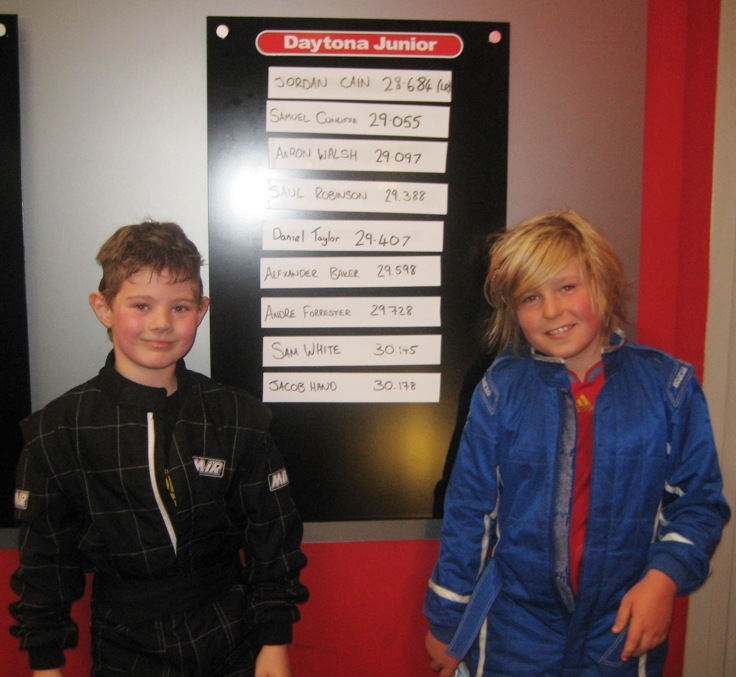 Jacob had a good round 8 in the Formula Bambino Championship yesterday at Daytona Manchester - his previous fastest lap was 33.811 and he knocked 0.3 seconds off to go 33.493 . The board has not yet been updated so I can't show a photo of it - so that will follow! He also finished fourth overall - just not quite making it onto the podium. Then this morning Samuel had a practice session also at Daytona Manchester. The track looked fast as Jordan had broken the lap record in the session immediately prior. Samuel looked like he was doing well and managed to beat his previous fastest time of 29.561 fairly early on in the session. So we were rather pleased with that! 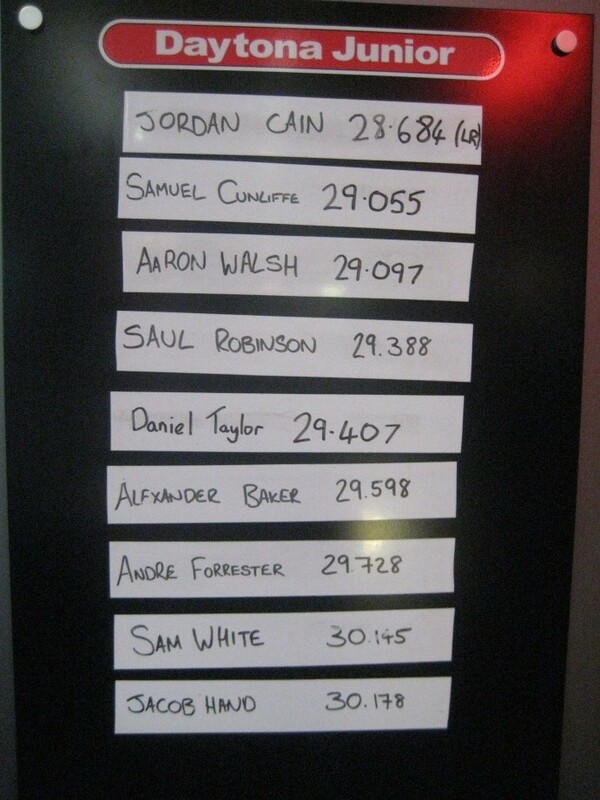 Jordan however then broke the lap record (that he'd set minutes earlier) probably 4 or 5 times more! The pace seemed to be rubbing off on Samuel as he then knocked in a 29.055 second lap - a good 0.5 seconds faster than he's ever gone on the new track layout! So the morning ended with Jordan breaking the lap record a number of times and Samuel getting the second fastest lap to date - just outside 28 seconds. Not bad for a nearly 9 year old! And the top 10 Junior board with Samuel in second place.